While it’s the Acropolis in Athens which gets all the attention when people think of Ancient Greece, another one, further south in the Peloponnese, has a much more romantic history. On the site known as Mycenae, the Mycenaean culture built their citadel. For about four hundred years between the 16th and 12th century BC, their civilisation spread to all known areas in the Mediterranean basin. And all of it was controlled from this hill. It was the royal house, the centre of communication routes, and the most fiercely defended community of the Mycenaeans. But, as far as legend is concerned, it is best known as the heart of the empire which launched the attack and siege on Troy. Ancient poets such as Homer told stories of the Mycenaean era and its role in the tale of a face that launched a thousand ships. More than three thousand years have passed since those days and the citadel on the mountaintop lies in ruin today. Visiting it, you can still appreciate how impressive the construction and the people were, though. 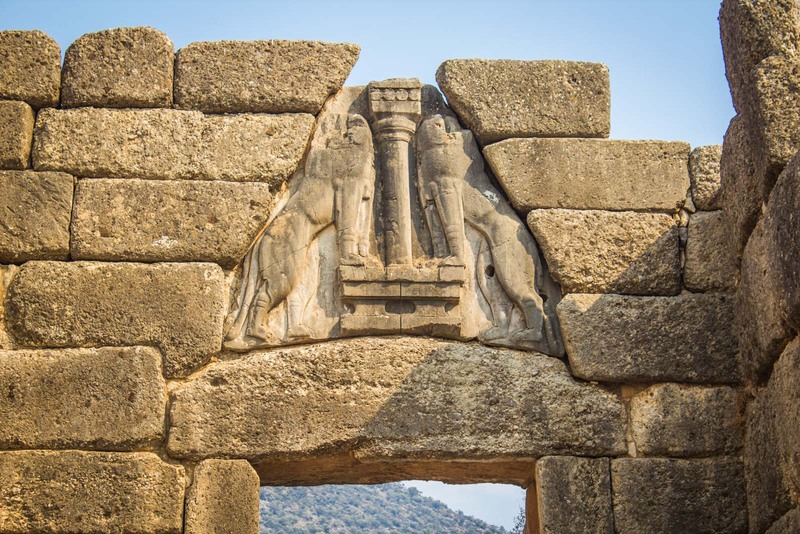 Ingenious inventions to control water and light at the site were ahead of their times; structures of buildings would influence civilisations to come; decorative features that still exist in parts of the ruins have been proven to be the first of their type in the world (such as the Lion Gate, shown below). The occasional tour bus pulls in to Mycenae but the locals tell me that it’s not as popular as it once was. As discussed in an earlier post, the economic situation in Greece means that less people are coming to see what remains of one of the most impressive empires of this part of Europe. Aside from the site itself – which is large enough to take an hour or more to explore – the museum has a great collection of artifacts found during the archaeological digs of the ruins. It also does a good job of telling the tale of the battle of Troy and the subsequent Homeric poems. Exactly what in those stories is true is still debated to this day. There is no question, though, about the importance of the Mycenaean empire and the evidence of it that remains. The ancient Mycenaean empire <Loved it!